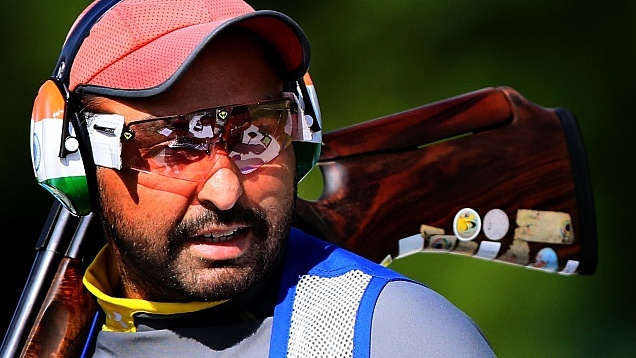 Indian shooter Ronjan Sodhi won silver medal in the ISSF World Cup in Slovania in double trap event. Ronjan who was winner in last two editions of the tournament narrowly missed the chance to make a hat trick. After the disastrous performance at London Olympics where he finished disappointing 11th, Ronjan bounced back strongly to finish with 191 (144 + 47) points to grab silver at ISSF World Cup. Ronjan was at his near best defeated Olympic silver and bronze medalists in tournament where top 12 shooters fought for supremacy. Olympic gold medal winner Peter Wilson from UK did not take part. Although Sodhi tied at 47 points with Joshua Richmond from USA in the final round, one point deficit in preliminary round proved to be decisive in favor of American shooter.